Be sure to scroll to the bottom of my feed to see all of the other amazing projects that my blogger friends created. My idea for this challenge started while I was shopping at the Rose Bowl flea market last month. I was visiting one of my favorite vendors (Euro-Linens) and came across this fabulous vintage fabric and these Hungarian paint rollers. I immediately knew I wanted to make a pillow. There is an easy and a harder way to make this pillow. 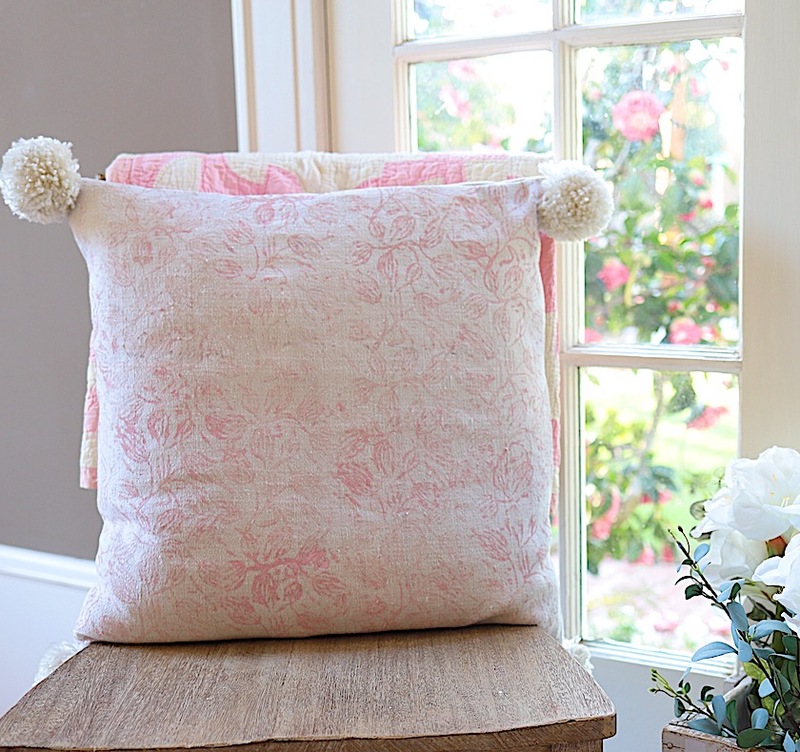 The easy way is to purchase a ready-made pillow cover. 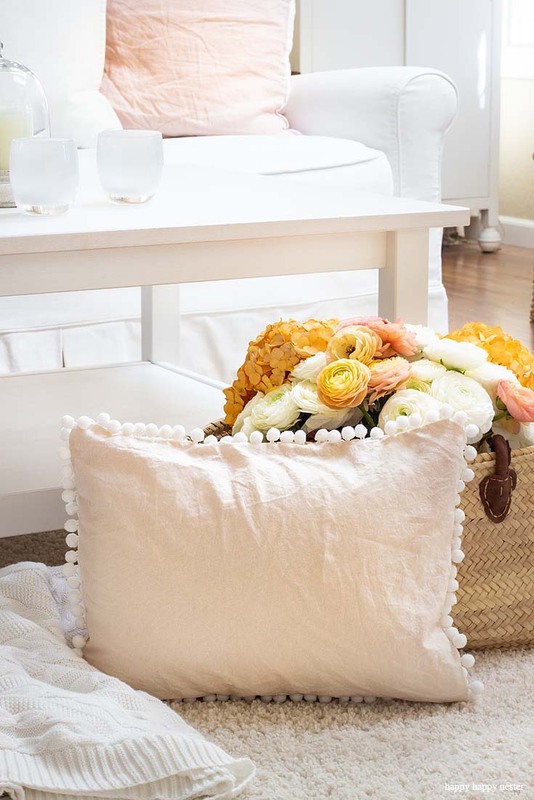 You can find them at any home decor store and IKEA has linen and cotton pillow covers for under $10. I loved this fabric and took the harder route. 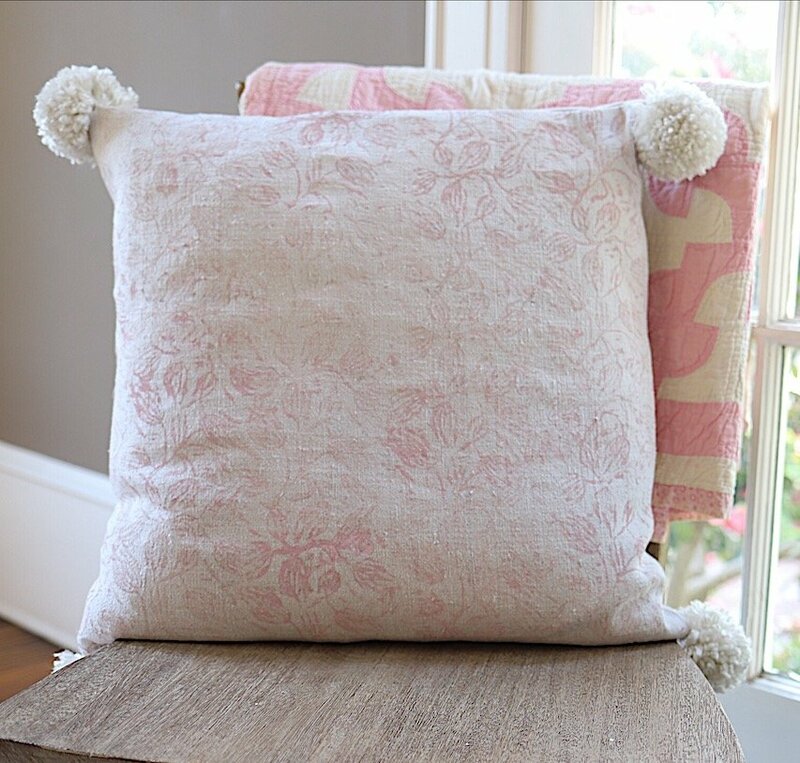 I used a 20″ pillow form and I cut out three pieces of fabric. 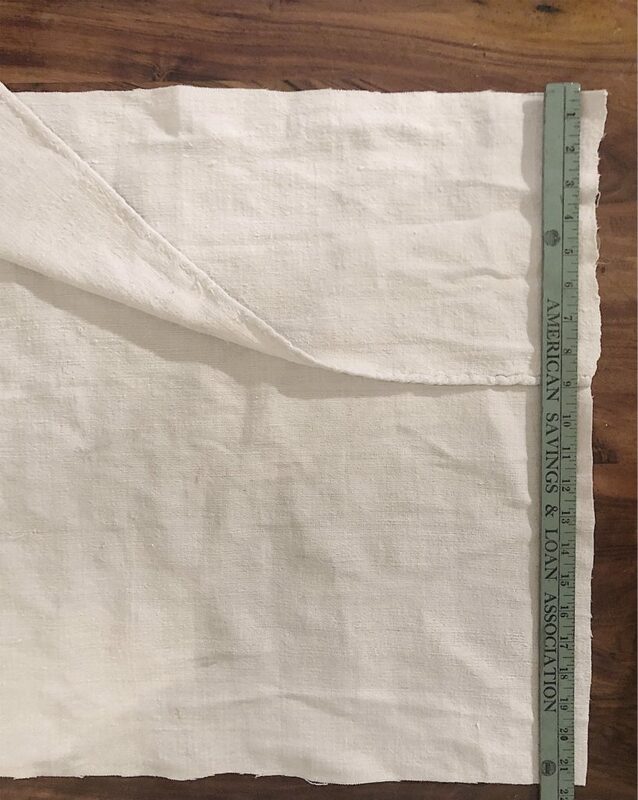 The front piece was 22″ square. And the two back pieces were 18″ x 22″ and 10″ x 22″. I used an envelope design (instead of a zipper) for the back of the pillow so that I could easily insert the pillow form. Unfortunately, I don’t think you will be able to find the Hungarian paint rollers that I bought at the flea market and used to make this pillow. 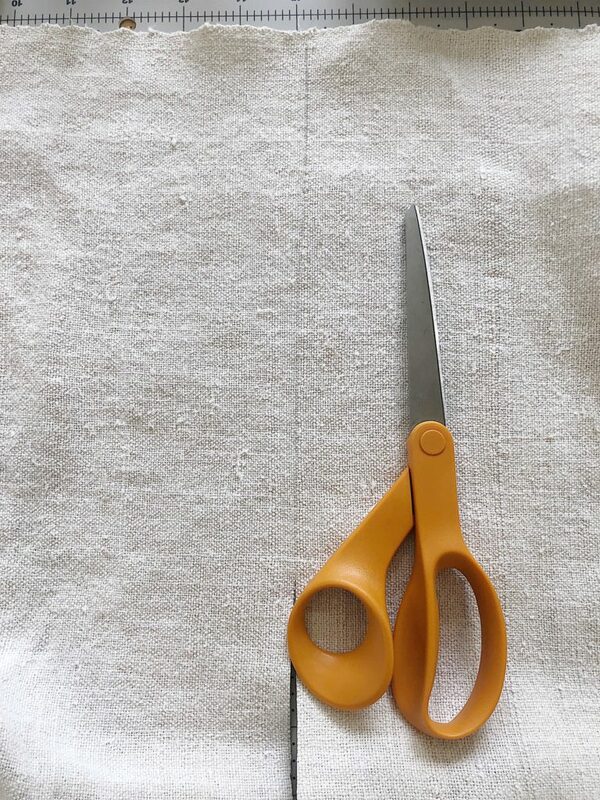 But there are two other ways you can paint your fabric (other than freehand painting). The first is to use cookie cutters. Place the paint in a flat paper plate and lightly dip the cookie cutter in the paint and gently lay on top of the fabric. The second idea is to create a stencil with a styrofoam paper plate. I used this method when I made wrapping paper in December. It’s such a great technique and so easy to do! Just follow the link to see how easy it is to use. I used a vintage Hungarian paint roller. 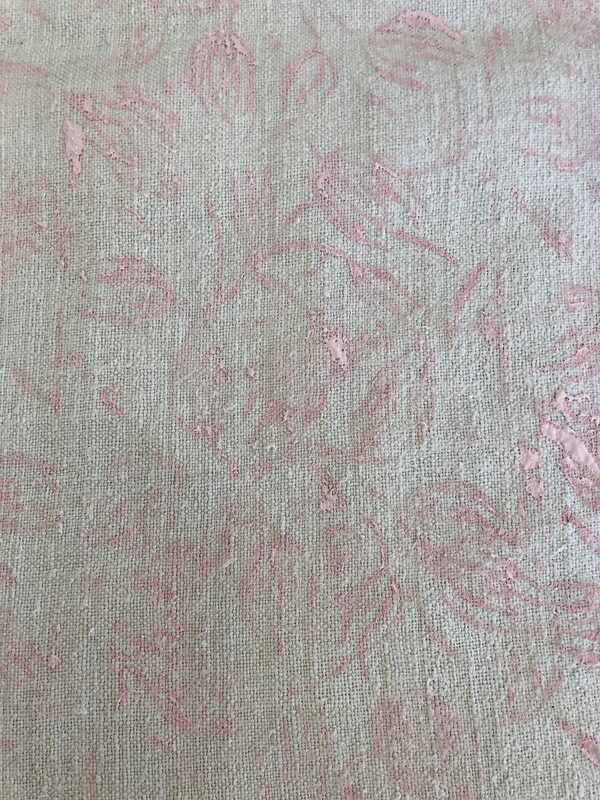 It was so easy to roll the roller in acrylic paint and then transfer the paint to the fabric. Look how great the fabric turned out. I wanted a somewhat muted and pastel look so I used Folkart Ballet Pink Acrylic paint. 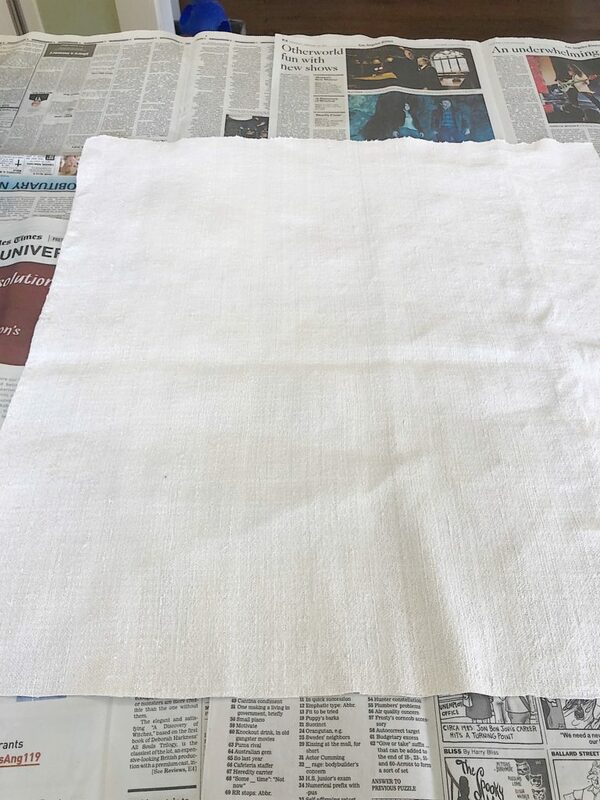 Since I didn’t use fabric paint, I had to iron the fabric to seal the paint. 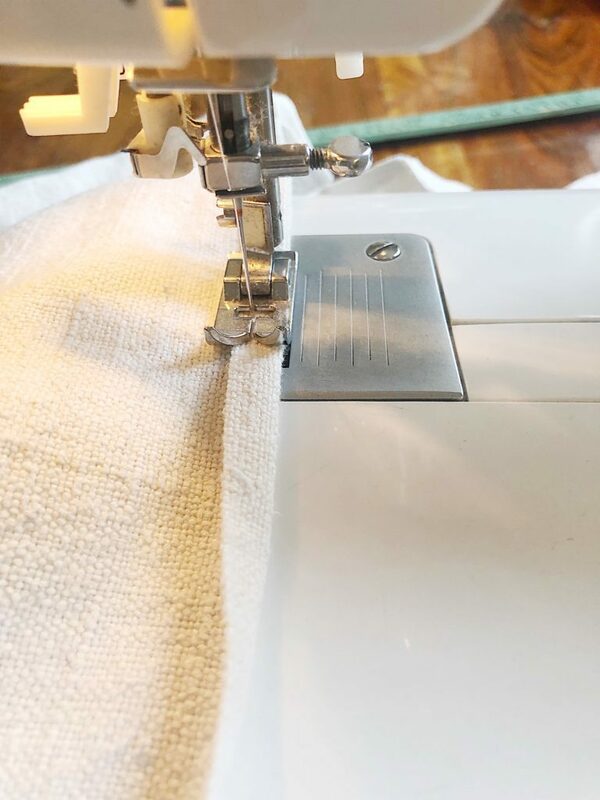 Take the two back side pieces and turn over one edge (along the 22″ side) and sew in the machine. This will finish off the edges where the pillow is inserted. Next, pin the two pieces together, overlapping the top (smaller) piece so that you have a 22″ square. Pin them securely in place. 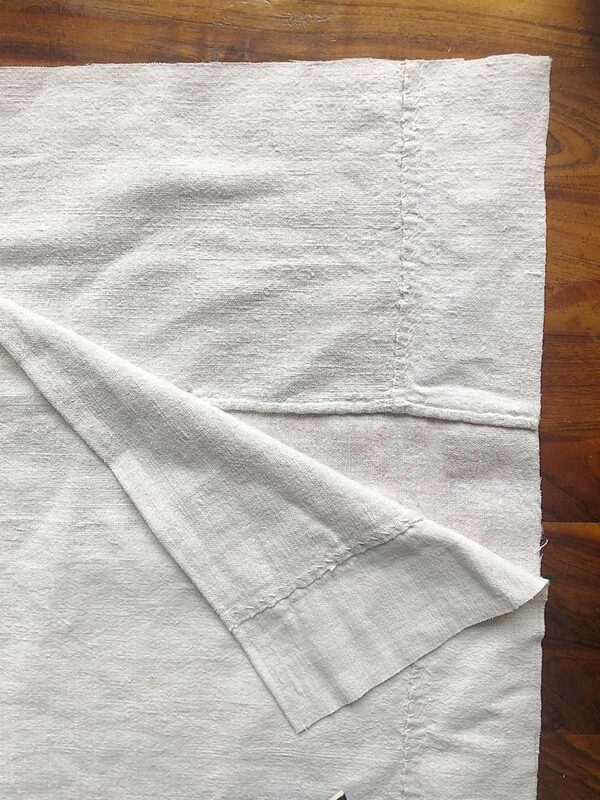 After you sew all the way around, clip the corners to allow for easier turning of the fabric. 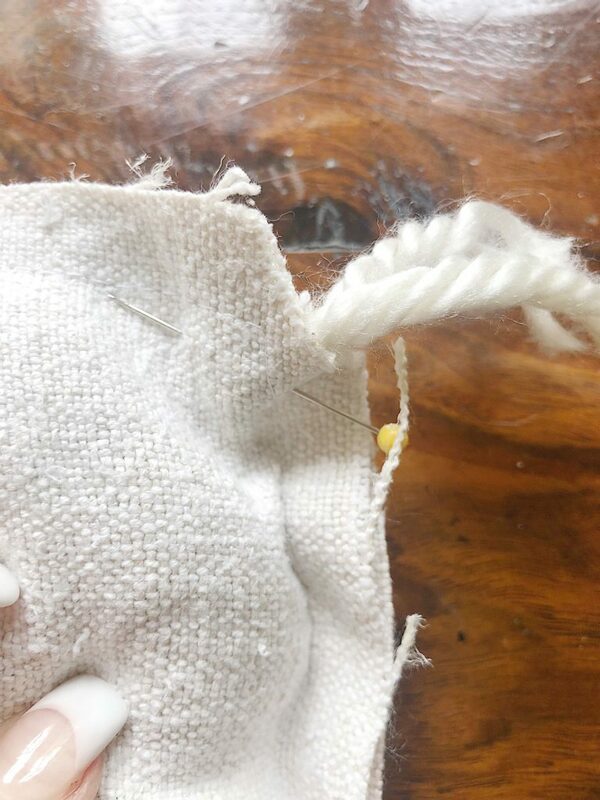 Just don’t cut too close to the stitches. Insert the pom poms from the right side and pin tightly. Re-sew along the stitch line to secure the pom poms. 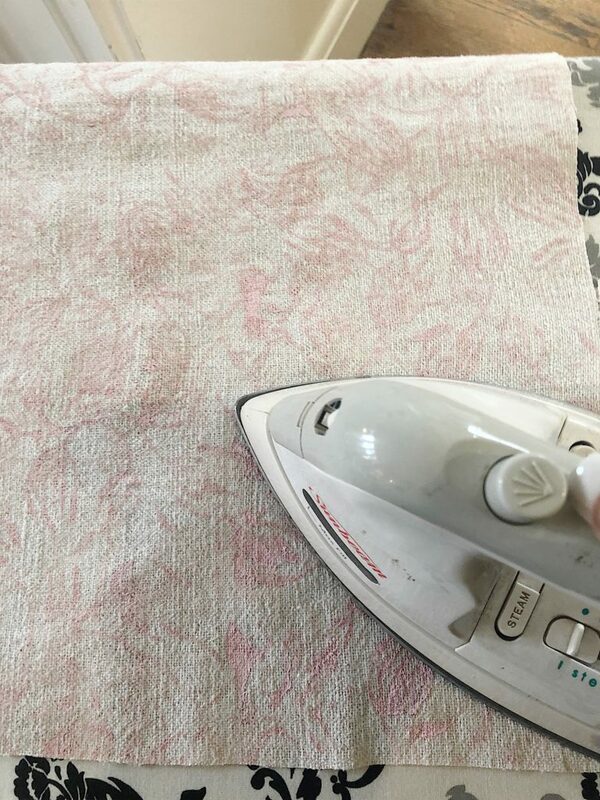 Turn the pillow inside out and iron if necessary to flatten the side seams. Insert the pillow form and you are done! I actually made two of these and I am so happy that I did! Now I can’t wait to share the other projects for this 3 Ingredient Challenge created by my blogger friends. Janine from Happy Happy Nester made this pillow but would you believe she did it by Dyeing Fabric with Avocado Skins and Pits! It looks so vintage and I love the pom poms! 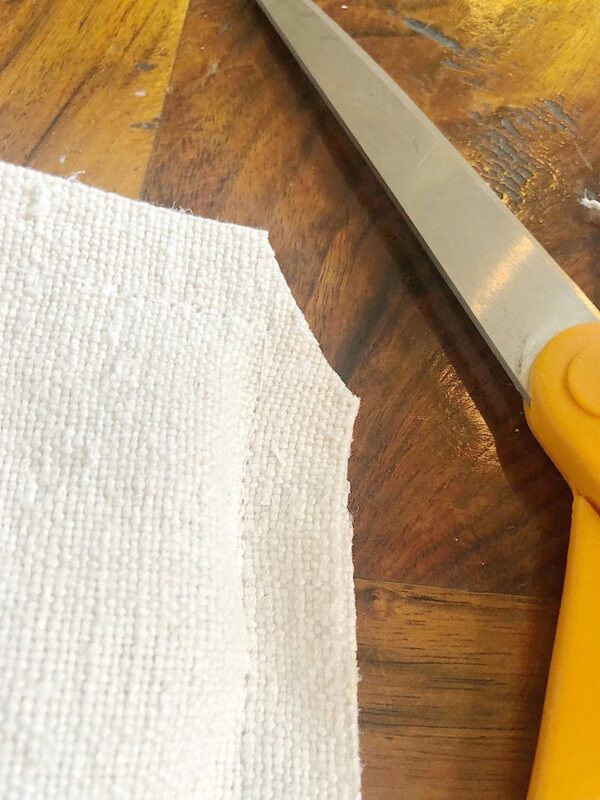 You have to see how she died this fabric! Who would have thought avocado skins would create such a beautiful color. 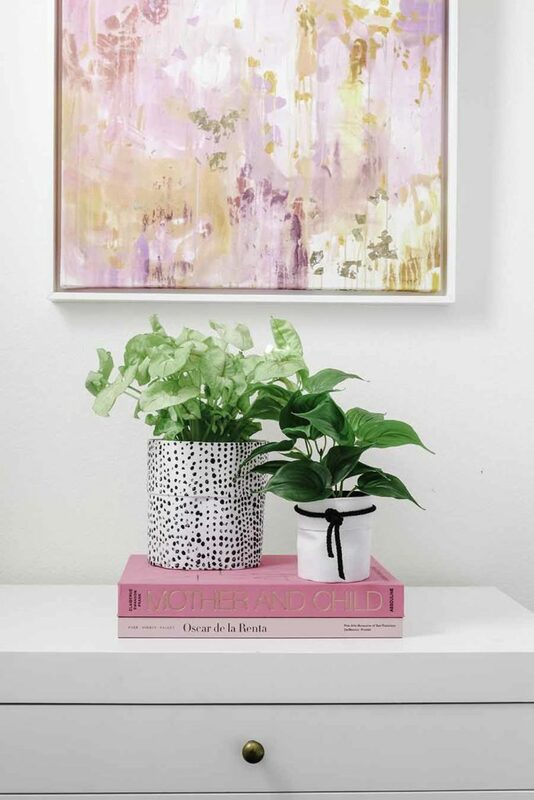 Ashley from Modern Glam made this Fabric Planter DIY: No-Sew Project. I love no sew projects and these are so adorable. 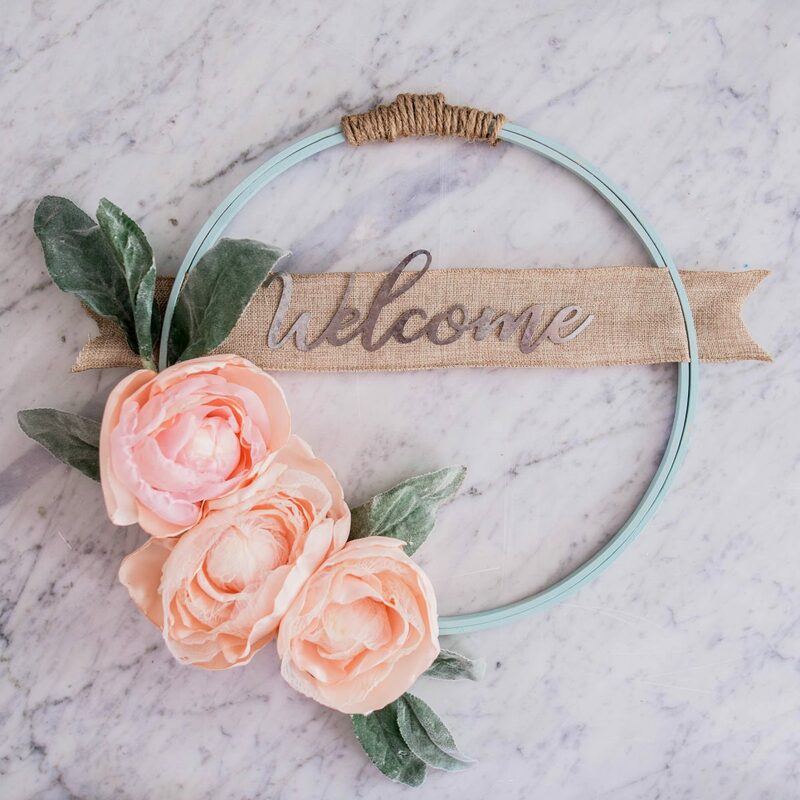 Christina from DIY Mommy made this Hoop Wreath with DIY Fabric Flowers. These flowers are amazing and I cannot wait to make them! 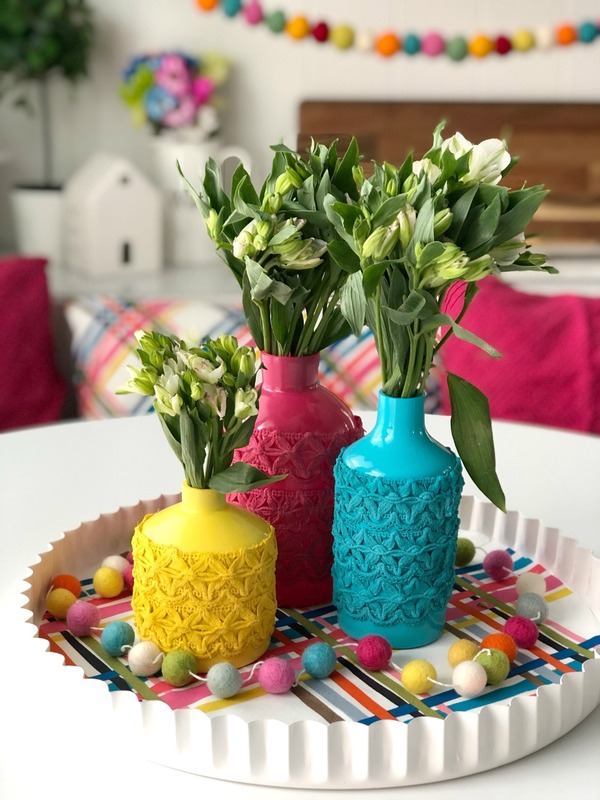 Jennifer from Tater Tots and Jello made this Anthropologie-Inspired Colorful Spring Vases DIY. I love anything Anthropologie and these vases are perfect. 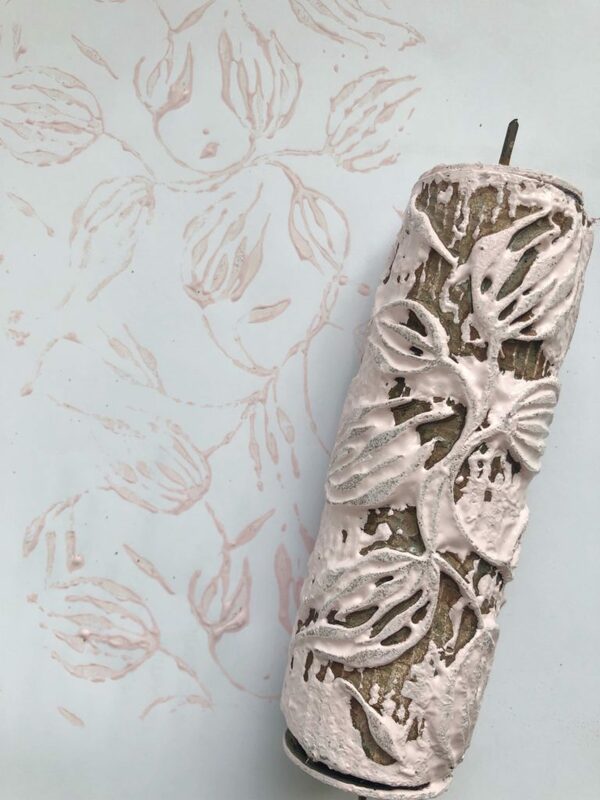 Rhonda from Hallstrom Home shared How to Stencil Tea Towel with Chalk Paint. This is so cute and I love the trim she added on the bottom. 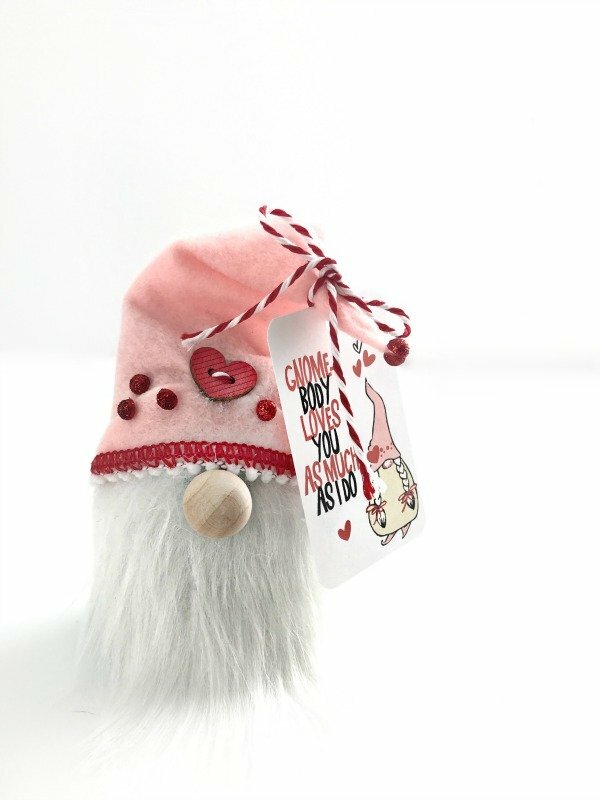 Tauni from Tauni Everett made a DIY 30 Minute Valentine’s Day Gnome. This is so adorable and I would love to make one! Oh goodness! I have ideas swirling in my head now! Beautiful!!! This is just beautiful!! Never have I seen rollers like those!! I’m feeling inspired!! I recently bought a new sofa and love seat. They came with a total of 6 throw pillows. I didn’t like any of the fabric choices so I got matching fabric with the intention of making arm covers (which I did) with 2 of them. I have four left and don’t use them. 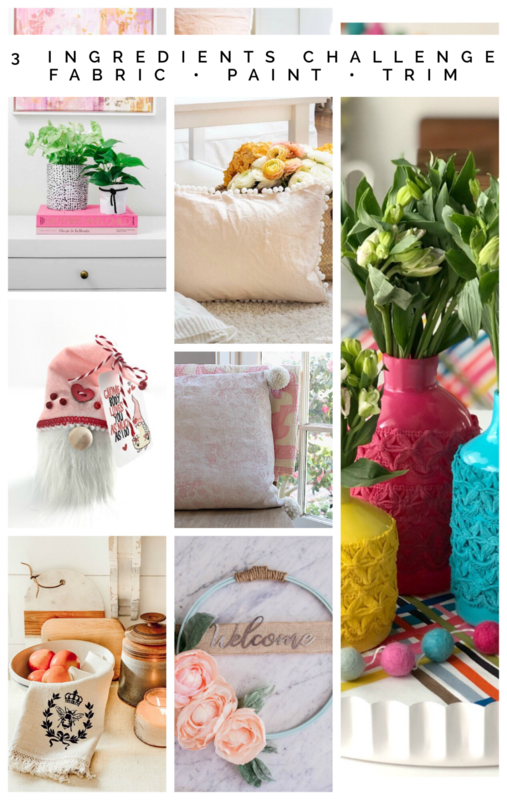 I like throw pillows to bring in extra color and pattern. Great idea! I have several stencils and lots of craft paint. Oh, the choices. 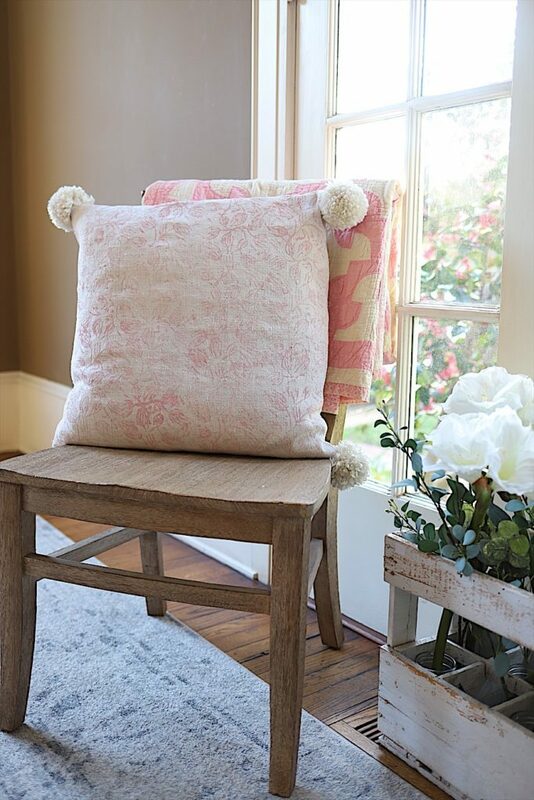 Your project is so amazing and feels like the pillow belongs in a store! You always create the best projects and I love how you make it look so easy! 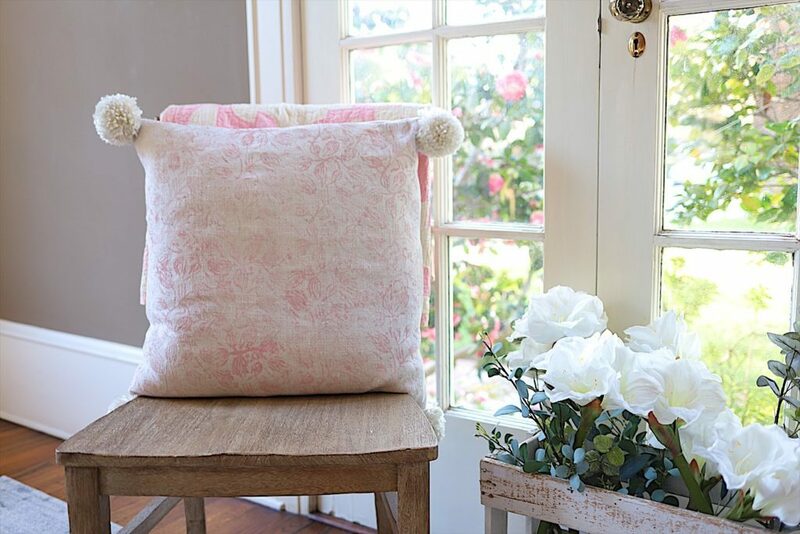 This pillow is just lovely! Thank you for the DIY! What a cool concept, painting pillows, would never have thought about it. Thanks for sharing! Leslie, what a fantastic project! 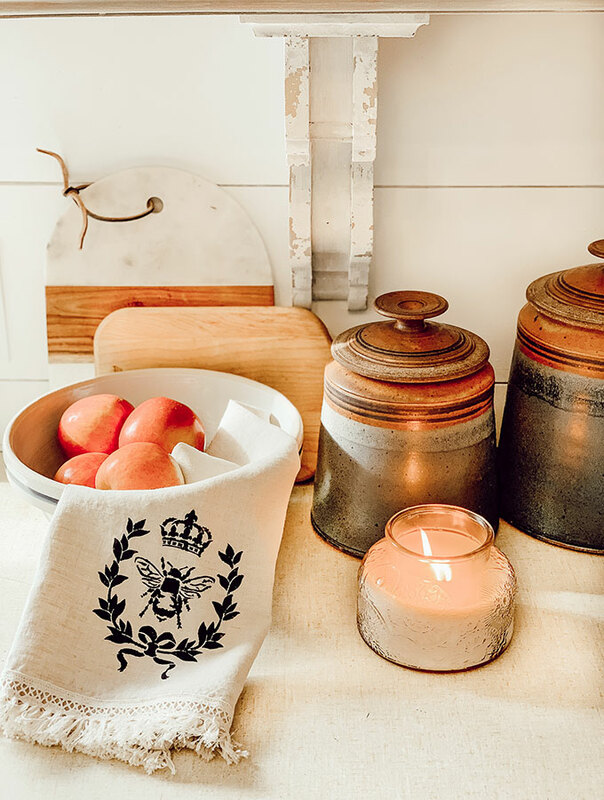 Your projects always have such a pretty, soft touch. I love that you’re so true to your personal style. And the vintage Hungarian roller…I die!